As you celebrate the holiday season, I pray that you’ll have confidence and joy, honoring our God and Savior who keeps His promises. Advent represents the coming of Christ. God’s people waited for generations for the relief that would come in Christ Jesus, the Messiah. Even today, we are waiting in anticipation of His second coming which God has promised will bring eternal deliverance. I am reminded as I look forward to Advent, that the sufferings, trials and burdens over which we have been praying this year, will one day “pass away and there will be no more mourning, or crying, or pain” (Revelation 21:4). What a treasure to have this time of pure joy to look forward to. But also, there’s the joy our children and grandchildren get to experience now as God acts upon the prayers we lay before Him on their behalf each week. Watch this testimony from Suzanne Fuller who has experienced the impact of Moms in Prayer and Grandmothers in Prayer in her own life and for her church, her family, and her grandchildren and their schools. 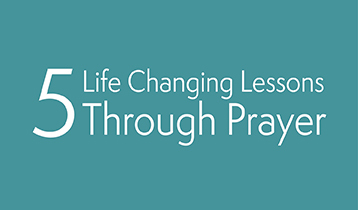 Whether you’re a young mom, to a mom with college age kids or grandmother, you’ll want to see what she shares as the five life changing lessons she learned through God calling her to faithfully pray with other moms. May you be strengthened and encouraged to continue on in prayer for your children and grandchildren, knowing who God is and all that He can do! If you’re not already in a group, I pray you’ll be inspired to get connected with a Moms in Prayer group or Grandmothers in Prayer group near you for 2019! *Video credit: A big thank you to Seven Rivers Presbyterian Church in Florida for this beautiful video they created and to Suzanne Fuller for sharing her testimony!